Sweet potatoes are one of my favourite everyday superfoods; they're so easy to find, they're inexpensive and they're easy to cook. 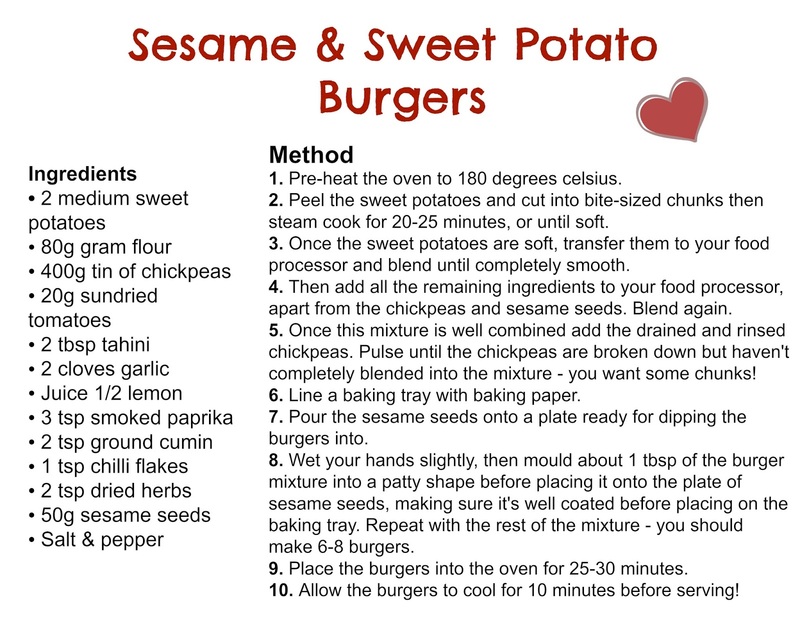 I love sweet potatoes in all forms - mashed, baked, roasted, etc but my favourite way to eat them has to be when they're combined together with other ingredients and made into delicious burgers! These Sesame & Sweet Potato Burgers with sun-dried tomatoes, smoked paprika and chickpeas are a new favourite of mine, they're just so bursting with flavour, so moreish and so satisfying! 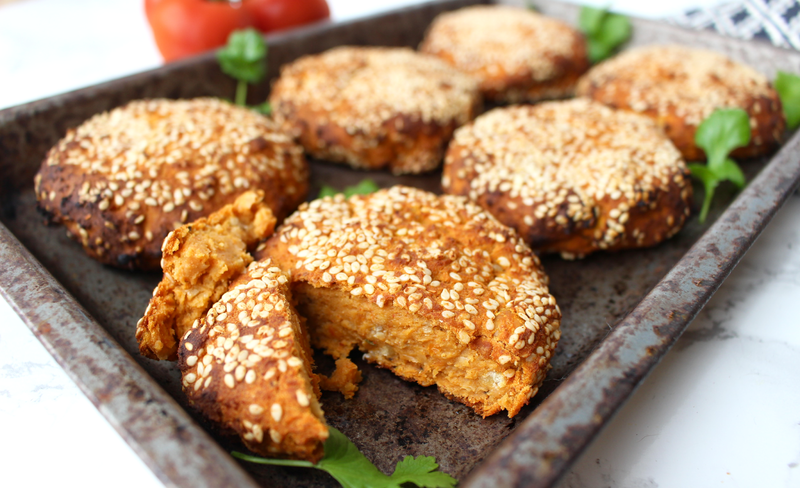 These sesame coated sweet potato burgers are just heaven! The inside is deliciously soft, flavoursome and rich with hints of lemon and garlic coming through. 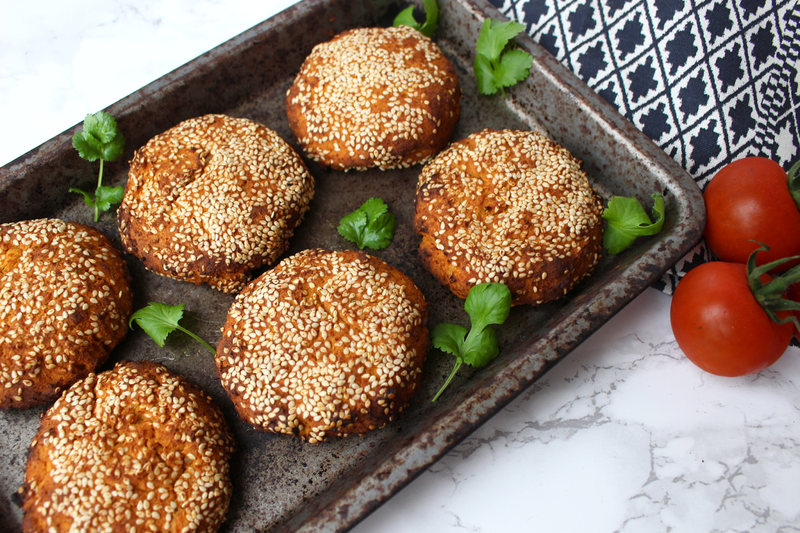 The tahini adds a creaminess, the chilli adds a little kick, the smoked paprika adds an incredible smokey taste that works perfectly with all the other ingredients and the sesame seed coating adds a crunch to the outside which is so amazing! 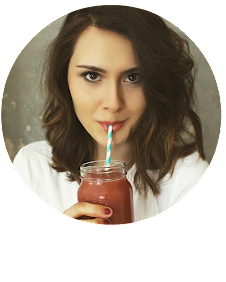 These burgers not only taste mouth-wateringly good but they're a nutritional powerhouse too! Sweet potatoes are a highly rich source of vitamin A which is crucial for maintaining healthy vision, strong bones and supporting immune function. It's also a beauty vitamin, and is especially good for strong, shiny hair! Sweet potatoes are known for their anti-oxidant and anti-inflammatory properties and they also help to regulate blood sugar levels. 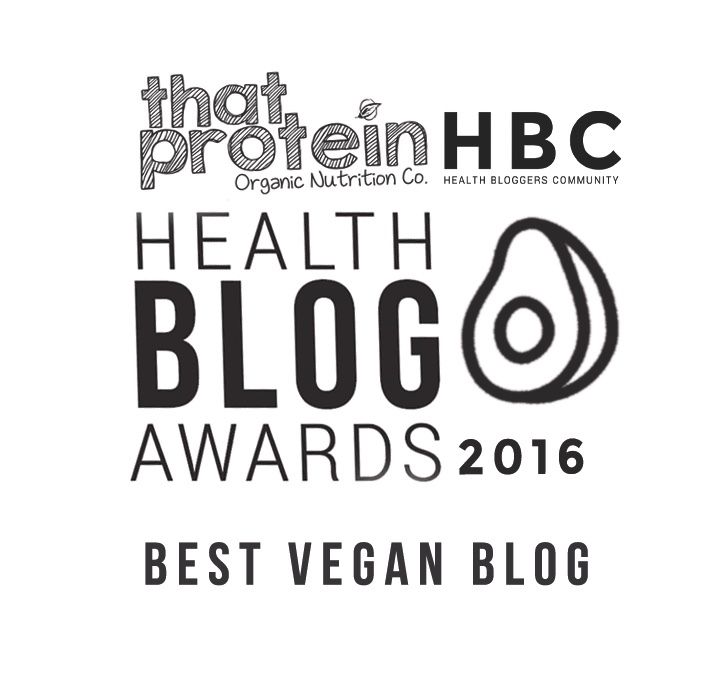 These burgers are high in protein too thanks to the chickpeas and tahini, they contain plenty of cold-busting ingredients for when you're feeling a bit run down and they're loaded with a wealth of vitamins and minerals to keep you feeling happy and healthy. These burgers are best eaten hot and straight out the oven, but you can keep them in the fridge and consume within 2 days.